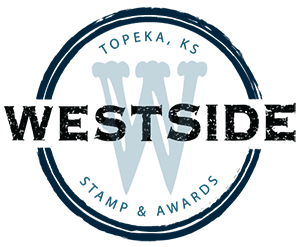 We use WestSide Stamp and Awards for our Organized Chaos (MMA & Boxing) events. They have always come through for us even when we've had last minute projects for them. Kurtis personally designed our Fight of the Night awards and medals and they have been a favorite of the fighters to proudly display after their hard fought victory's. We've received lot's of compliments about the awards. Great company! WestSide Stamp and Awards is my first and only stop when it comes to custom orders for both business and personal items. Their quality products and craftsmanship is what drew me in, but their customer service is what keeps me coming. I've never left their office without having spoken to multiple employees, as they all seem genuinely interested in keeping up with their customer relationships. I also can't count the amount of times I've contacted Kurtis or Chelsea stating "I know this is a weird request, but..." or "This might be impossible, but..." and it never fails that they get me taken care of. I sincerely cannot say enough good things about this company. I wish there was a rating above “i loved it” because my Christmas has been made! I had ordered something online which ended up not being anything like what i had anticipated. I took it in and talked with Kurtis and we figured out a plan B. Not only did he exceed anything i could have ever dreamed up, but also got it done in time for my gift exchange!! I will ALWAYS go to Westside and will tell anyone looking for something special as well! THANK YOU KURTIS!! Five stars goes to Westside Stamp & Awards for customer service and quality. Westside saved the day when we had an emergency and needed expedited turnaround. They understood our needs and were willing to work with us, even under tight timing. The professionalism, superb service, empathy and quality products will keep us coming back for both business and personal needs. THANKS AGAIN for your help!! Super thrilled with their work! Took a chance with my project and it turned out great! Love Westside! Great customer service and creativity in their work! Westside has made our cookoff trophies for 9yrs. We wouldn't consider going anywhere else. They're on time, offer fair prices, and appreciate your business. Outstanding service from the moment you open the door until you walk out with your finished product. A true family business who care about their customers. Such amazing folks! They listen to your needs and deliver!